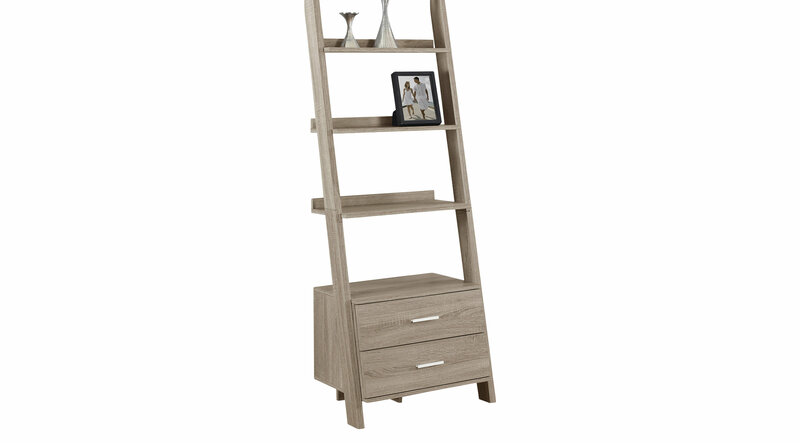 Who can resist this Singleton ladder style bookcase? The four graduating open shelves provide ample room to display pictures, decorative pieces, or books with tipping hardware included for further stability when placed against a wall. Two convenient storage drawers accented with sleek silver metal handles adds even more space to put away accessories within easy reach. A contemporary design in a rich dark taupe wood-look finish, the exquisite symmetry of this ladder bookcase adds style to a living room, home office, or hallway.